Earth Day Events 2019 Metro Detroit – Celebrate Earth Day 2019 on Monday, April 22. Earth Day, Arbor Day, and Green Living events in Metro Detroit and SE Michigan centered around raising awareness. Springtime in Michigan offers many fun and educational Earth Day / Arbor Day events, activities and things to do! In partnership with MSU Extension Tollgate. Event is working in the Harvest Garden. For more info, call 248-735-5628. 5th Annual Earth Day Celebration! Recycled crafts, hikes, ix station, FREE tree seedling for the first 50 pre-registered children, FREE Goody Bag, and much more. This is a FREE event. Preregistration suggested. For more info, visit www.wbparks.org. Showcase of the best of the best businesses in our area that offer health, wellness, fitness, environmentally friendly, longevity, weight loss, strength training, diet, nutrition, injury prevention and more. This is a free event sponsored by the Clarkston Chamber of Commerce. Learn more about native plants, rain barrels, family fun, raffles, vendors, and displays. For more info, call 248-246-3180. Help get the farm grounds cleaned up for the upcoming summer season. Numerous tasks will need to be done outdoors. Bring rakes, gloves, garden tools, sunscreen and a smile. Lunch and a free wagon ride will be provided for all participants. Please preregister, 586-752-5932. This is a FREE event. A Metro parks vehicle entry permit is required for these events. A Metroparks vehicle entry permit is required for these events. Daily & Annual vehicle permits are on sale NOW. You can pick one up at metroparks.com OR visit your local Metropark today. Help keep Oakwoods clean and beautiful by tidying up the park. You or your group will be assigned a section of the park to rid of trash. Gather back at the Nature Center around 11:30a for a free lunch. Please preregister, 734-782-3956. This is a FREE event. A Metroparks vehicle entry permit is required for these events. Daily & Annual vehicle permits are on sale NOW. You can pick one up at metroparks.com OR visit your local Metropark today. Monday, April 22, 2019 from ?-? Parks and Rec will supply each park with garbage bags and cleanup equipment. Call 248-674-5441 to sign up for a park. Time slots are available all day. Kids must be accompanied by an adult. FREE live music, face painting, earth-friendly crafts, info booths, giveaways, food trucks (food for purchase), low-cost hayrides, and more. This is a FREE event. Continue the legacy of Earth Day by learning how you can help the environment in your very own backyard. Drop in for a compost demonstration and make “seed balls” for pollinators. Take a hike to learn about stewardship activities at Friendship Woods. Dirt Doctors will be on site with a hands-on demonstration and Water Resources Commissioner Jim Nash will display his electric car and renewable energy technology. For more info, call 1-888-OCPARKS. Litter, such as fishing line and plastic bags, is dangerous for wildlife and unsightly to park visitors. Help keep the park beautiful, and safe for people and wildlife! Check in first thing in the morning for area assignment, then meet back at the Activity Center for lunch. Please preregister, 586-463-4332. This is a FREE event. A Metroparks vehicle entry permit is required for these events. Daily & Annual vehicle permits are on sale NOW. You can pick one up at metroparks.com OR visit your local Metropark today. Check in first thing in the morning for area assignment. Individuals, families and groups welcome. Free daily park entry as a volunteer. Snacks and water provided. Scouts can earn a fun patch. All ages – under 12 must be accompanied by an adult. Preregistration required. FREE. A Metroparks vehicle entry permit is required for these events. Daily & Annual vehicle permits are on sale NOW. You can pick one up at metroparks.com OR visit your local Metropark today. 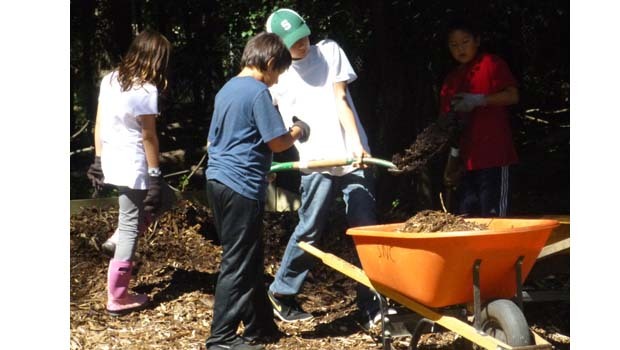 Seeking volunteers ages 14+ to help clean up the grounds of the Stage Nature Center. Bring work golves or kneeling pad. For more info, visit stagenaturecenter.org. All research and formatting for this Earth Day Events 2018 Metro Detroit Events page provided by Oakland County Moms. Unauthorized duplication of this content without express consent is a violation of our Terms and Conditions and Data Security policies. Violators will be reported to Google Support for infringement violation. This Earth Day Events 2019 Metro Detroit page is intended to be used as a guide. Oakland County Moms does not endorse these events. Oakland County Moms is not responsible for changes to event descriptions, event times or details being altered without notice or cancellations. More Earth Day Events 2019 Metro Detroit, Arbor Day events and Green Living festivals coming soon! Is the date right for the first event? Mind, Body, Green.. It says March 3. Thanks for the list of events.